Published on June 24, 2014 in General T&T, Law, Opposition Party, Parliament, People's Partnership, PNM and UNC. 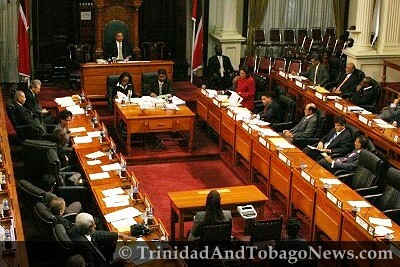 6 Comments Tags: Abuse, Parliament, Politics, Rhoda Bharath, T&T Govt. Sometimes the beauty of a goal is in its build up, not the scoring. Last week, on June 14th to be precise, Express journalist Ria Taitt revealed that the Lower House (MPs) had just approved amendments to two bills giving themselves fat new pensions. The story took about 48 hours to really generate interest because it’s the middle of the first round of World Cup 2014 in Brasil. And soccer-mad TnT, caught up with the beautiful game, barely have time for Anil, weed stashes, prostitutes in hotel rooms, or Government programs that are funding criminals, far less to pay attention to debates in their Parliament. Oh, and we had a long holiday weekend. And Laventille and the Police/Army were at war.